The season starts tonight for the Timberwolves. As part of that, this will be a defining year for Ricky Rubio. Ricky is supposedly the leader of that group. Looking at that lineup, if they don’t do well, it’s probably his fault and his inability to impact games. If they do well, it’s likely because he has a great season. As Rubio goes, so do the Wolves. Direction TWO: the Wolves are a lottery team. In this scenario, they don’t resign Ricky and draft a point guard in the lottery. That’s my guess. Any thoughts? Andrew Wiggins. There is obviously a player here. He led the team in minutes (32) and points (18). He took some poor 20 footers and wound up shooting 4-11 overall, but got to the line 10 times and made both of his threes. He also blocked 3 shots and grabbed 3 offensive boards. There is obviously stuff to work on, including getting stronger around the rim and ball handling, but there was a lot to like. The bet we’re making with each other is whichever teams performs the worst relative to their projected win count, the loser buys the winners a lunch of their choice at Rio Grande. Now, let’s get it started! On a related note, I really want a website to exist that allows you to enter in a bet, a prize for the winner and a date for it to be resolved and then this app notifies you when that date comes. I have so many little bets placed but I need something to keep track of them. Somebody please build this. 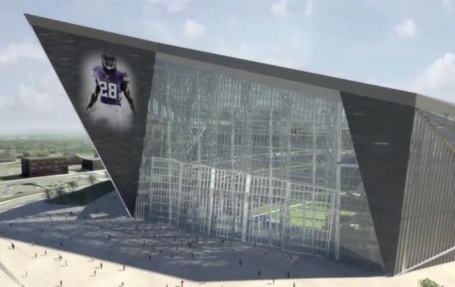 Also related: the new Vikings stadium looks amazing. This will be the most versatile sports facility in the US, capable of hosting Final Fours, World Cup or MLS soccer, concerts, baseball, or Super Bowls. 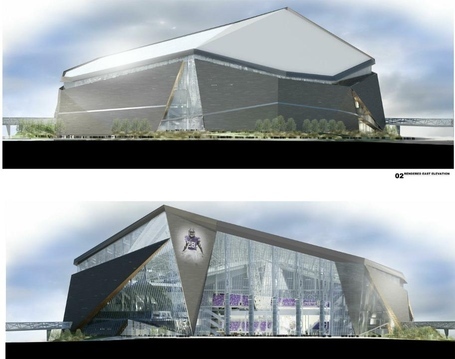 It will seat 65,000, expandable to 73,000 for the Super Bowl. Christian Ponder was pretty awful for a two-month stretch this year, but with 4 games left, the Vikes had to run the table. At that moment, a funny thing happened. While Adrian Peterson continued going absolutely nuts against opposing defenses and Minnesota’s defense continued to step up their game, Christian Ponder got better. How much better? ESPN.com blogger Kevin Seifert puts it into perspective. 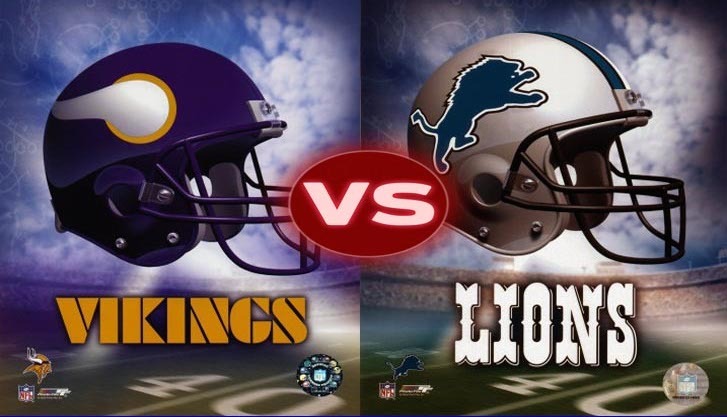 But after a disastrous Week 13 performance against the Packers, Ponder quietly turned himself around and had the NFL’s second-best QBR (86.8) over the final four games of the season, trailing only Peyton Manning. 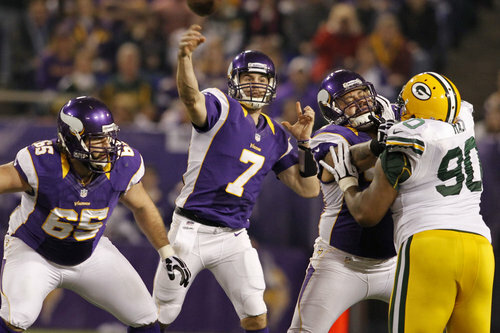 Over the second half of the season, Ponder’s QBR on third down — measuring not only passes but also his scrambles — was the league’s second best. Yep, second best QB after Peyton Manning. I’ll take that. 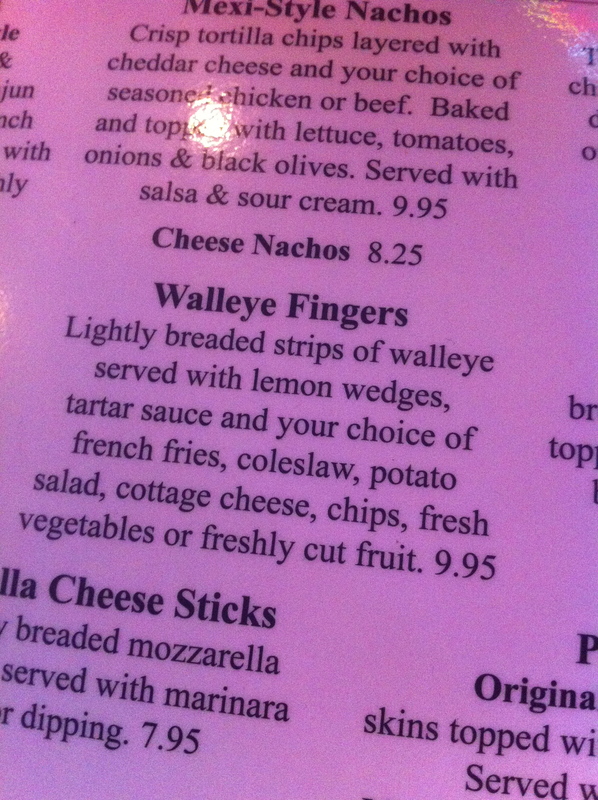 …when you open up a menu at a bar (Bunny’s) and you can order Walleye Fingers. On another note, I didn’t know that the bar Bunnys in St. Louis Park got its name because the owner needed a sign and the sign maker had a spare sign with the name “Bunny’s” on it. So he got it for cheap and that became the name of the bar. Funny. I’m a big NBA fan. 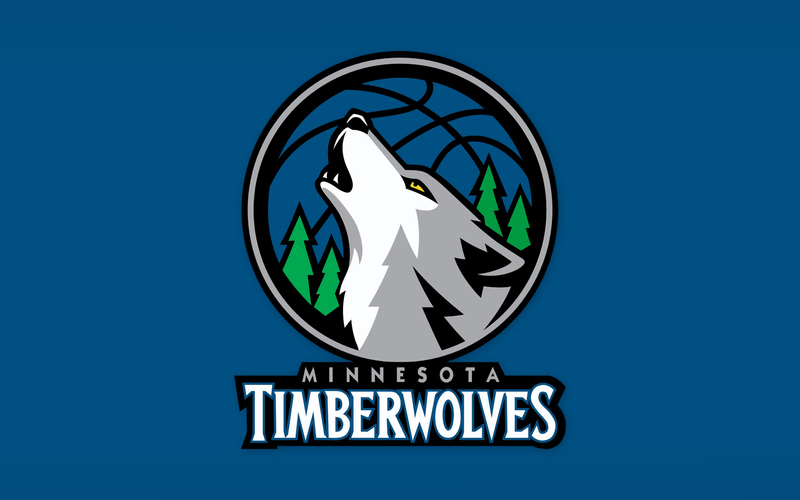 Each year i get excited to see how the MN Timberwolves do and i’m especially excited this year. The only way to become great in the NBA is through the draft. It’s the only way to get the true superstar and you need the true superstar to win a championship. You have no idea when you draft Dwanye Wade or Kobe Bryant if they are going to be All-NBA or out of the league in 5 years. Some players fizzle, some grow to superstardom – you never know. But one thing you do know is that if a player becomes an elite player, the Timberwolves will NEVER get them unless they already had them. This year i’m especially excited because we have two new rookies that could be the next players that set the league on fire. They are Ricky Rubio and Derrick Williams. Both were drafted high (Rubio at 5, Williams at 2) and both were touted to be one of the best in their class. How they will actually perform, nobody knows. But i’m pretty frickin’ pumped to see Rubio leading fast breaks with Williams and Wes Johnson on one wing and Kevin Love trailing for 3’s and rebounds. Check out this video. Just a few years ago people were talking about Greg Oden as one of of the best draft picks in recent memory. The number two pick – Kevin Durant – was considered risky. Well, here’s a video of him taken yesterday when he went absolutely insane. I’m hoping some of that similar draft luck comes to the T-Wolves. The Twins dominated the Central Division in the first decade of the new century, winning or trying for the win in the division in seven of those ten years (’02, ’03, ’04, ’06, ’08, ’09, and ’10). What gets me is that every year the critics pick the Twins to lose. Every year. Each spring i pick up Sports Illustrated to read about how the Twins don’t have the hitting or pitching to take the division and almost every year we prove them wrong. This year we lost former AL MVP Justin Morneau for the entire season in June and still managed the best record in baseball for the second half of the year. It’s our adherence to fundamentals, an amazing farm system and good solid baseball that allows us to plug the gaps and pump out win after win after win. Boy, I bet the Twins are wishing they hadn’t cut David Ortiz right about now. This team has almost as little pop as the Dodgers, if that’s at all possible. Shannon Stewart was a third-round pick in CBS Sportsline’s Bizarro draft. Tony Batista – did he even play last year? (Yes, in Japan – Ed.) – was a second round pick. 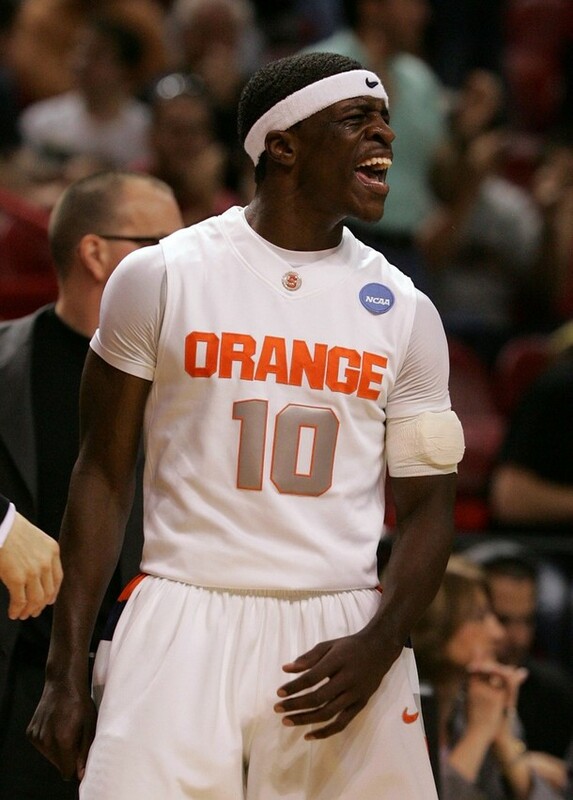 Luis Castillo was a fifth-round pick. Kyle Lohse was an eighth-round pick. You get the idea. These guys are stiffs, which is a shame, because they have some nasty pitching. I honestly do not believe that Minnesota has enough offensively to compete for a division crown this season. It’s never good when there is prolonged talk about your leading hitter and starting catcher having potentially severe back problems in his early twenties. All those being said, congratulations to the team. Once again they delivered and let’s hope they put the smack down on the Yankees this year in the playoffs. 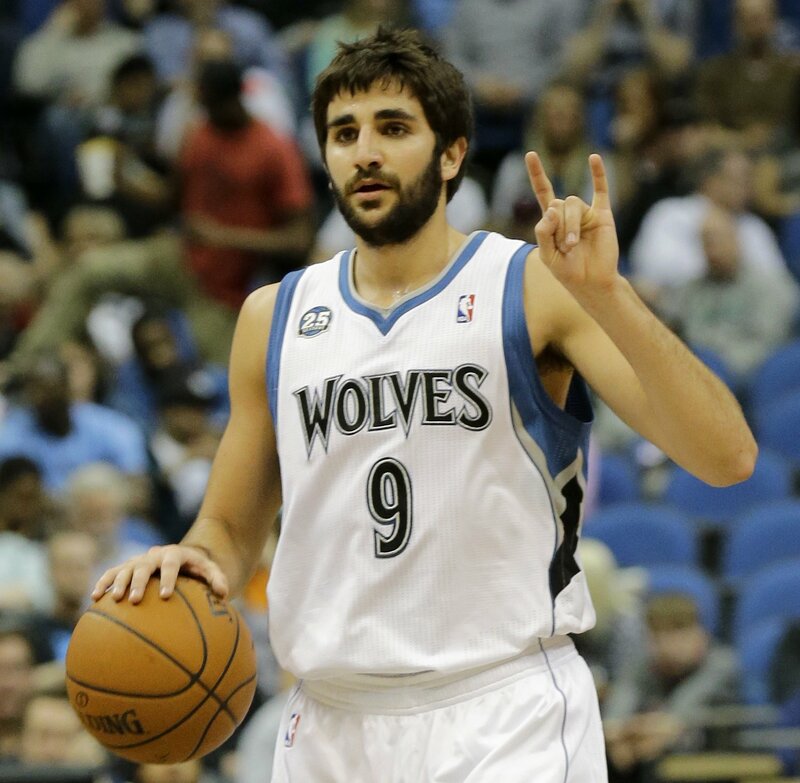 There’s been lots of talk about Ricky Rubio and all the he could potentially bring to the twolves. And while i think he’s pretty special, I’m also very excited about Johnny Flynn. What happened on draft day is that the the Timberwolves had ranked Flynn as #1 on their board of people they thought they could get (above Curry). Somehow Rubio dropped to the number 5 spot so they felt they had to choose him. Then with the number 6 they were faced with the option of choosing someone they believed was worse to fill the shooting guard spot or choose the best guy remaining which was Jonny Flynn. At least that is the explanation that the GM provided. I was skeptical but i just watched this video (below) of Flynn’s summer league play and he looks fan-fricking-tastic. I’m very excited to see what he can do with KLove, Big Al and rest of the squad. Also, i want to touch on the fact that Mad Dog Madsen was traded to the Clippers. While not the best player in the league i think he’s done a great job of communicating with the public. His blog is good read and he’s clearly a very smart dude (from Stanford). He’s missing Minnesota and I’ll miss him too.